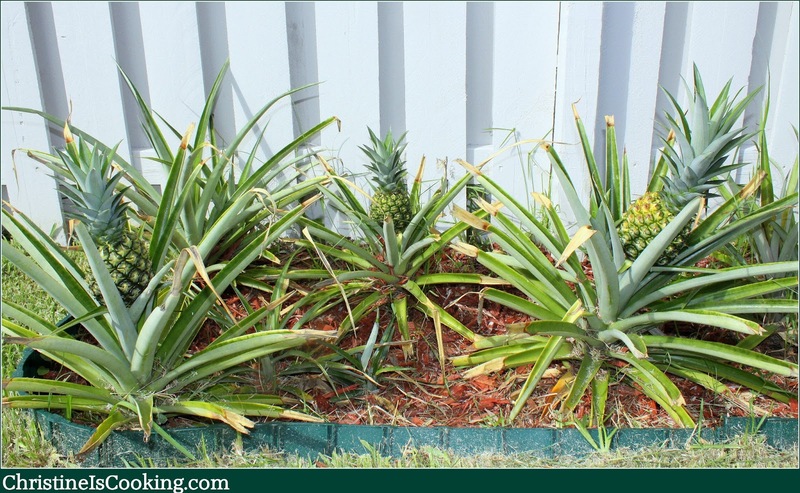 Planting and growing your own pineapple is fun! 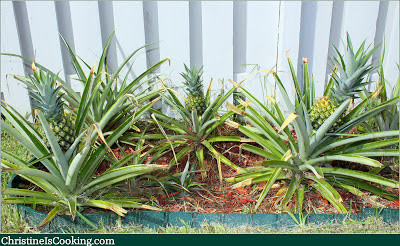 I started a small pineapple garden several years ago. Whenever we would buy a pineapple at the store to eat, I would plant the top. They take a couple years to produce fruit, but they are beautiful plants and are low maintenance. 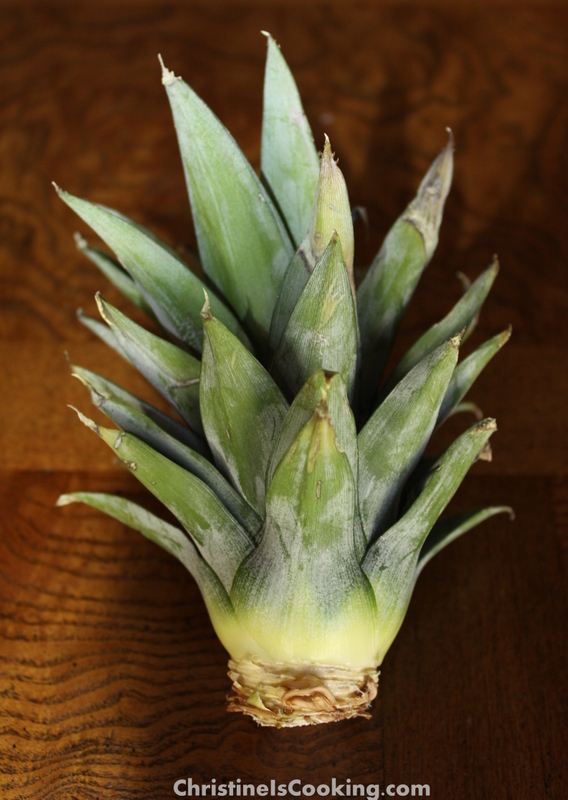 If you live in a cold weather zone, you can still plant a pineapple, you just need to plant your pineapple in a pot indoors in a sunny location. (2) Cut off the leafy top. This is your plant. Make sure any fruit is sliced off. Leaving fruit on the plant may cause the top to rot. (3) Peel off several layers of bottom leaves until you start to see roots. (4) Put your plant in dirt and water it after planting. Pineapples like lots of sun and NOT a lot of water. Don't plant it where water will go downhill and pool near the plant. 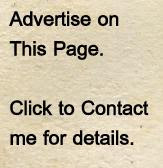 (5) During dry periods - water them occasionally. I fertilize mine once in a while with a sprinkle of 8-8-8 fertilizer when they start to look a bit yellow. (6) A pineapple will generally produce in 18 to 24 months. 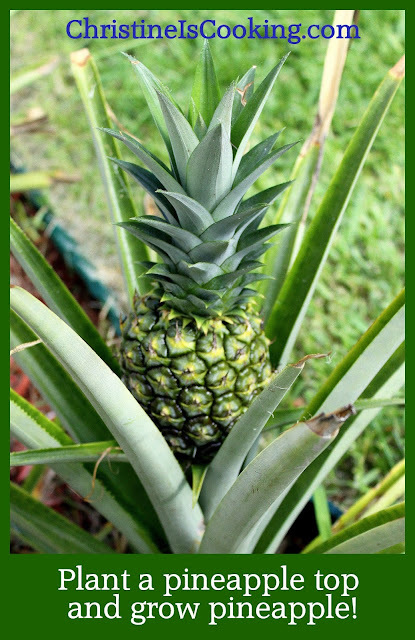 Once a plant has produced a single pineapple it is done and will not produce again. Harvest the pineapple and start the cycle over again!